The Persian cat is the most popular breed in the United States today. It is easily recognized by its long coat, round head and pushed-in nose. 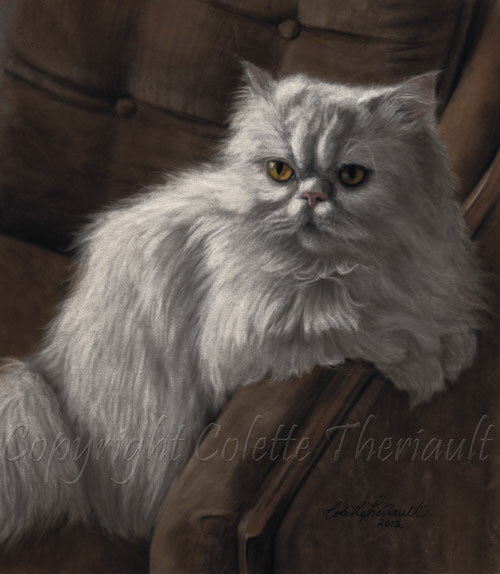 This cat portrait was commissioned by a client in Sudbury, ON.